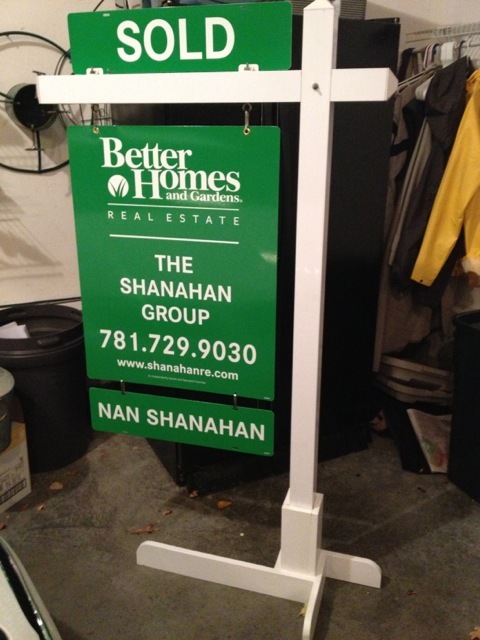 At Better Homes and Gardens Real Estate The Shanahan Group, we love our local market. We spend lots of time looking at data on Winchester, Reading, Medford and our other surrounding communities. We believe that's where the really valuable information is and how we can track the real estate market real-time. There is value, however, in picking our heads up and looking at a broader picture of how our market compares to other areas of the country. Every year, the National Association of Realtors (NAR) prepares a report of Homebuyers and Homesellers. We dig through this report every year for a national picture of consumer trends. Homebuyers: Who, what and where? 2012 Turkey Trot a Big Success- and fun too! Better Homes and Gardens The Shanahan Group and FAN of Winchester hosted the second annual Turkey Trot on Thanksgiving morning and we would like to thank all who participated, supported and donated to the event. It was a huge success again and so much fun! Ready, Set, Go! The 6-7 year old Trotters were off and running! Like last year, we conducted the event on Thanksgiving morning with all of the proceeds benefiting The Bridget Brigade, a local charity to support families with critically ill children. We are proud to work with such a great organization that is doing such important work. This year, we had over 100 kids run in the race, from ages 2-9. If you haven't seen it before, it is the cutest sight to see the littlest of the runners line up at the starting line and run as fast as they can to the finish line. Our older runners are, of course, more competitive! In addition to being fun for the kids, it's a great opportunity to catch up with friends and have some coffee before heading home to prepare for Thanksgiving. Every runner even got an email after the race with a picture of their group at the starting line! 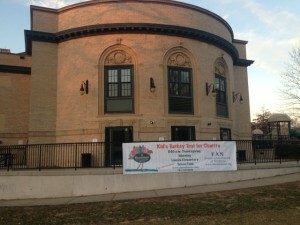 We are so thankful for the donations and support from other local businesses. This year, we invited Kids Footstop to join us at the event. Eric Keough was gracious enough to accept and even collected shoes for Cradles to Crayons, while handing out Sketchers playing cards to our runners. There were many games of "war" and "go fish" played at family Thanksgiving gatherings, thanks to Kids Footstop! We also would like to thank Stop and Shop, Starbucks and Dunkin Donuts for donating the snacks and coffee for the event. And finally, a huge thank you to Peterson Party Center for their generous support in providing the tent for the Turkey Trot. 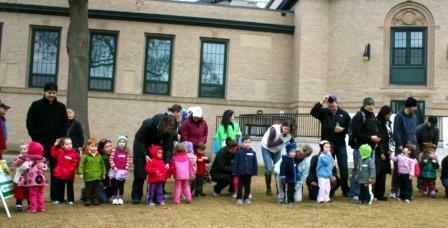 The littlest Turkey Trotters line up at the starting line. Adorable! One of the best things about this event is that it truly is a community affair. Our colleagues in business, a great local charity and FAN of Winchester all come together to make this a really special and fun event. 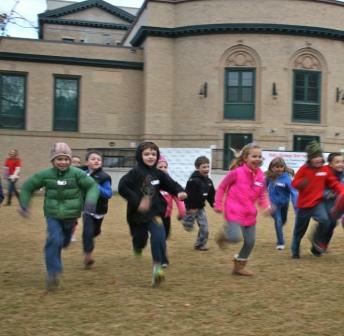 We look forward to an even bigger 2013 Turkey Trot. Gobble, Gobble! 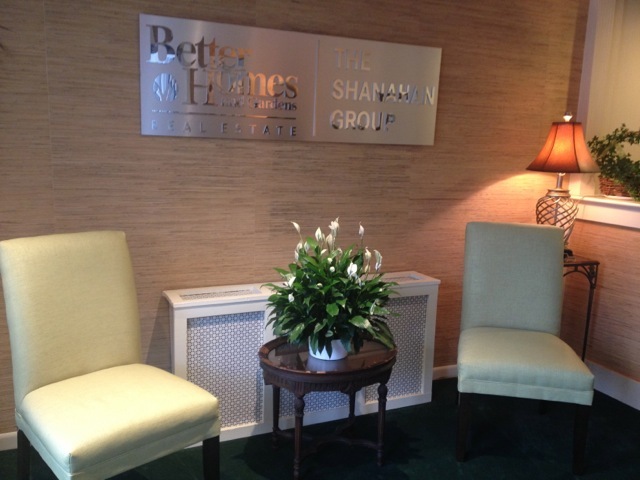 Behind the scenes: An exciting week at The Shanahan Group! Life really has changed for us at The Shanahan Group over the last 7 days! Last Thursday, we announced our partnership with Better Homes and Gardens Real Estate and things have been moving at a fast pace ever since. Before last Thursday though, the big news was a big- and very difficult secret- to keep! The new signs in their "super secret" hiding spot, before Launch Day. For the past several weeks, Karen and Nan have been hard at work with our new BH&G friends putting the pieces together and building our new, refreshed brand, while learning all of the new tools and meeting the new faces that would be our new friends in real estate. There were conference calls, webinars, meetings to train on all of our tools for our agents and design new marketing materials for buyers and sellers. All this, so that on Launch Day, it was all in our hands and ready to go. That meant everything from signs (open house signs, yard signs, name riders), office supplies like letterhead, memo pads and even pens. It also meant new office signs and a new look to our workspace. Oh, and then there was our website, our blog and Facebook and Twitter and...well, you get the picture. We were ready to launch on Tuesday October 30th. That would be the day that Hurricane Sandy hit. Our BH&G friends are mostly located in the NY/NJ area, so we needed to postpone and were very grateful that everyone weathered the storm safely. Given Election Day, our new Launch Date was set for Thursday November 8th. And even though NJ was getting hit with another storm, our BH&G friends were here and we were moving forward! We met as a group at the Griffin Center in Winchester on a very rainy, cold day, in a side room in the museum. Our agents thought they were seeing a presentation from our web company and were eager to know what was inside the main room, behind closed doors. We gathered as a group as Nan finally told everyone the big news. We talked about our start as a company five years ago and the really special team we have created since. We are a group of team players and good people, with high standards for ourselves and our clients. We were looking for a partner that shared these values and could compliment our core services with cutting edge technology and tools for us to use and contemporary marketing that could reach a broader audience. 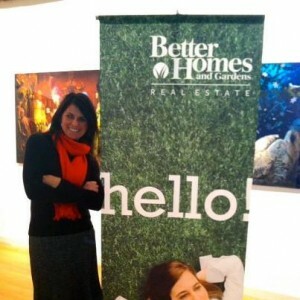 We found that partner in Better Homes and Gardens Real Estate. On the other side of the doors, a new opportunity was waiting. All the pieces were ready and in place. As we were learning about our new brand and all the tools at our fingertips, there were "elves" transforming our office (thank you Lauren Dean, Judy Parsons and Chasse Home Maintenance!). There was a lot of change that day and since, but our core services and values remain. We are still The Shanahan Group...we just got Better! Thanks to a little help from our friends, we transformed the lobby at our office while the Launch was happening!